Want to speak Chinese naturally? 10 Great Chinese Facebook Pages to Like and Learn From! Sometimes we all just want a little study distraction. We sneak over to Facebook, and after a while we start feeling guilty for procrastinating our language studies. But what if we could turn Facebook into a resource for Chinese learning? In today’s post, we explore great ways to turn mindless Facebook snooping into short bursts of Chinese learning and language absorption! Sound enticing? 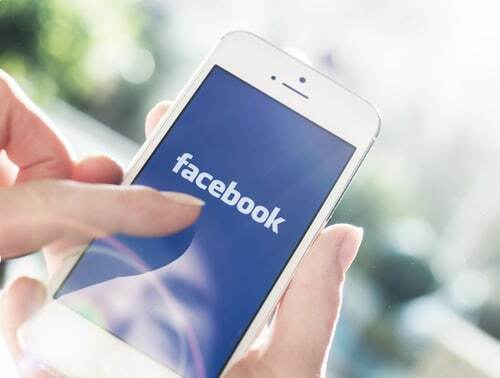 Well, then you’ll love that we’ve also provided 10 recommendations of great Facebook Pages that you can “like” in order to receive more language learning content in your News Feed. Here’s a challenge: Why not use Facebook entirely in Chinese? 1. To view Facebook in Chinese, click the downward-pointing triangle symbol in the top-right corner and then go to Settings. 2. Go to Language under the left-hand menu and select the language you want to see on Facebook. 3. Note: You won’t find “Chinese” or “Mandarin” listed in the languages. You’ll have to scroll to the very bottom to find 中文 (zhōng wén), where you’ll see listings for Chinese (Taiwan), Chinese (Simplified) and Chinese (Hong Kong). 4. Remember to click Save Changes. 5. To revert back to English, go through the same steps. Settings is now called 设置 (shè zhì) in Simplified Chinese or “設定” (shè dìng) for Taiwan and Hong Kong. Language is “语言” (yǔ yán). You can also opt to have all the stories on your News Feed translated into Chinese to make things even more immersive, or you could tell Facebook to never automatically translate anything from Chinese to English. Lastly—and you may already be aware of this—but Facebook and other Western social media is blocked in China. To access Facebook from China, you’ll have to use creative methods such as secure VPNs or proxy servers. HideMyAss! VPN is one very nice option which appears to work—as well as any solid VPN service can work—in China. Whether or not you’ve changed your settings to view Facebook entirely in Chinese, you’ll want to know some key vocabulary related to Facebook and social media. Below is a list of the most common Chinese phrases for using Facebook. Your language learning goals will depend on your current level of fluency. But don’t worry, Facebook has resources for learners of every level. First, try to determine your skill level and the appropriate level of content you want to see—you’ll want to aim to select content that suits your level, and some that’s a bit more difficult than that for an added challenge. Then decide what areas of your language skill set you want to strengthen. Is it vocabulary? Writing? Listening? Based on this, you can find appropriate Facebook content to match your goals. We have a list of 10 Facebook Pages you can browse through to get started. Facebook will also recommend similar Pages to you once you start browsing. Like any and all Pages that strike you as useful to add them to your News Feed. You can also change your settings to see updates from these Pages first and have them show up at the top of your News Feed. Start by adding anything that seems remotely useful to you—if you find you’ve got too much content showing up, or you just plain don’t like some of it, you can always remove your Likes quite easily down the road. If we Like some Pages but don’t read them, the content becomes just like those sponsored ads that we all ignore. Whenever you’re on Facebook, take a few seconds to check out updated content from your selected Chinese Pages, even when you feel like skipping past onto friends’ party pics and gossip. For example, if you scroll down and see the daily update from a Page you’ve chosen that primarily features “word of the day” or “flashcard” type content, take a moment to look at and remember that new word. If it’s content that refers to outside articles or videos, make an effort to click on and view at least one or two pieces of content each week. In this way, you’ll actually be able to capitalize on content you’ve Liked for further learning. As promised, here are our recommendations for Pages to check out to advance your Chinese learning. There’s something for every level of learner. We’ve also included the link to each Page and a brief description of what you’ll find rolling into your daily News Feed after you click that Like button. The Learn Chinese Page is a branch of CRIEnglish.com. CRI is China Radio International, China’s only state-level radio and television organization focused on international communications. The aim of CRI is to introduce China to the rest of the world. Whereas CRI’s main website mostly features news reports, cultural articles and more extensive Chinese language lessons, CRI’s Facebook posts strive to break things down in a more digestible way by featuring Chinese mini-lessons. All mini-lessons have Chinese characters, pinyin and English translations. Some even include a handy Chinese audio clip. As you can imagine, this is an excellent resource to see in your News Feed, as it gives you lots of regular learning material without becoming overwhelming. FluentU takes real-world videos—like music videos, movie trailers, news and inspiring talks—and turns them into personalized language learning lessons. It offers lesson progress tracking, tailored content, flashcards and other tools. FluentU actually teaches many languages, but Chinese learners can check out FluentU’s Chinese site. FluentU’s Facebook Page offers new blog post updates, which are relevant to second-language learners of any language. These blog posts feature tips on second-language acquisition, more effective ways to study language, and ideas on improving memory and retention. Posts also discuss issues relating to travel and crossing cultures. Written Chinese focuses on learning and writing Chinese characters. If learning characters is your goal, this Page is for you. Each new post features a key vocabulary word in both simplified and traditional characters, and includes pinyin. It also posts short Chinese poems and articles relating to grammar. It’s a great resource for learners focusing on the more literary aspects of Chinese. Chinese Hacks is almost like comic relief for the Chinese learner. It features fun tidbits related to learning Chinese, such as Chinese movie memes and jokes. It looks like the author has a passion for vintage Chinese comics too, as there are many posts and images related to this. Another useful part of this Page is the textbook and resource recommendations for language students. Do check out this Page for Chinese textbook reviews—and comic book suggestions too. Chinese Poster is a company that prints large posters listing sets of Chinese characters, including pinyin and definitions. Their posters are definitely a great resource for any Chinese student. The posters are organized in sets like “First 1000 Chinese characters” and “Second 1000 Chinese characters”—extremely helpful for studying. On their Facebook Page, they offer freebies like printable flashcards and mini-posters, so don’t miss out on these free resources. They periodically announce flash sales on their poster products. This is certainly a good Page to follow if you love posters or if you’re a visual learner. Learn Chinese Online is another fun resource to add to your News Feed. Learning by way of lighter, more humorous content can be a good balance to your dry textbooks and long vocabulary lists. Check out Learn Chinese Online for entertaining, Internet-based Chinese language tidbits such as jokes, graphics and memes. This will give you tons of insight into Chinese youth and Internet culture. There’s plenty of funny, shareable graphics, so you can share Chinese jokes and images with your Chinese-learning friends. On Chinese Community Page you can get a Chinese “word of the day” and curated news about China. The “words of the day” are fairly basic but very useful words, suitable for beginner learners. Since it’s a community Page, you may also be able to connect with other Chinese learners around the world. CCTV News gets you Chinese news articles in your News Feed. In case you didn’t know, CCTV is China’s state broadcaster. Their Facebook Page is useful for practicing reading long Chinese articles and getting updated local information. Since the articles are fully in Chinese (no pinyin or translation), this is a resource for higher-level learners, or an intermediate learner who’s seeking a challenge. You can also try CCTV’s English Facebook Page, which has China-focused news content in English. nTV is a Chinese TV channel that shows Chinese dramas and other entertaining series. Their Facebook Page features Chinese language entertainment tidbits, updates on TV shows and celebrity news. This resource is good for practicing reading short paragraphs on entertainment and culture, perfect for the intermediate to higher-level learner. Tech lovers take note! Check out Apple’s Chinese language Facebook Page, which features all sorts of tech and Apple-related news in Chinese. It’s great for practicing reading and learning tech-related vocabulary. Perhaps if you’re learning Chinese for work, this may be a good resource to check out. The articles are fully in Chinese, without pinyin or translation, so it’s most suited for an intermediate to advanced learner. We hope these 10 resources gives you some ideas of how you can hack Facebook for greater Chinese language learning! If you liked this post, something tells me that you'll love FluentU, the best way to learn Chinese with real-world videos. FluentU brings Chinese to life with real-world videos. Learning Chinese becomes fun and easy when you learn with movie trailers, music videos, news and inspiring talks.